The MSc in Adapted Physical Activity Leadership (APAL) has been developed to respond to an increase in demand for highly skilled professionals who can take a leadership role in developing this emerging discipline and become transformational leaders ensuring universal access to physical activity. This aim echoes the long held vision of the APA movement and is in line with the aim of the United Nations (UN) convention on the rights of persons with disabilities (2006) – ensuring the equal rights of persons with disabilities. The taught level 9 programme has been developed in line with the European Standards in Adapted Physical Activity (2010) and builds on the strong health and leisure undergraduate honours degree programmes. The overall aim of this masters degree is to develop an opportunity for professionals and graduates in the areas of health, education, care and leisure to develop their capacity to ensure universal access to physical activity programmes. WHY STUDY ADAPTED PHYSICAL ACTIVITY LEADERSHIP AT IT TRALEE? The Health and Leisure Department at the Institute of Technology Tralee and its associated programmes have a local, national and international reputation for excellence and innovation. The location of the CARA National APA Centre at IT Tralee is testament to the lead role of the Institute in the field nationally. Internationally IT Tralee has led and participated in a number of European projects aimed at advancing the discipline. IT Tralees expertise in the area coupled with their work in improving standards and opportunities in Ireland and abroad was recognised by the United Nations Educational, Scientific and Cultural Organisation (UNESCO) when they awarded the UNESCO Chair in Transforming the lives of people with disabilities, their families and communities, through Physical Education, Sport, Fitness and Recreation in January 2013. This award recognises IT Tralees expertise in the area coupled with their work in improving standards and opportunities in Ireland and abroad. 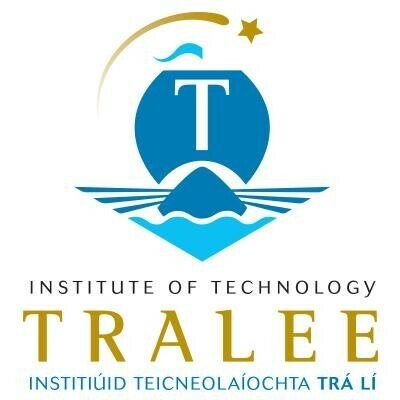 Internationally IT Tralee has working relationships with universities, authors and organisations at the forefront of the field such as Claudine Sherrill, Lauren Lieberman, Martin Block, Martin Kudlacek, Peter Downs and James Rimmer. The location of the CARA National APA Centre at IT Tralee and the close working relationship on projects such as Campabilities is testament to the lead role of IT Tralee in the field nationally. Locally, the undergraduate BSc in Health and Leisure links with disability service providers and health professionals to deliver and extensive programme to over 250 people with disabilities each year.